News from 2008 | Doris S. Michaels Literary Agency, Inc.
John Corcoran’s latest book, THE BRIDGE TO LITERACY lays out a vision for eradicating illitracy in the United States. USA Today interviews Corcoran. As readers hunger for information about the financial crisis, publishers are hurrying to get new business books on the table. Read or listen to the whole story here. Astrophysicist Charlie Pellerin’s HOW NASA BUILDS TEAMS, illustrating a unique 4-D system to analyze team and leader effectiveness, focusing on team culture and managing individual behaviors, to Richard Narramore at Wiley, by Doris Michaels at DSM Agency (world English). Author of HEALING CONVERSATIONS Nance Guilmartin’s THE POWER OF PAUSE, explaining how taking a moment to reevaluate our circumstances allows us to make more productive decisions and avoid disastrous miscommunications, to Karen Murphy at Jossey-Bass, by Doris Michaels at DSM Agency (world English). How women think and feel about money and how their control over money will transform the global society, families, politics, and the marketplace. A debut novel about a young girl’s coming-of-age set in 1960s-era Puerto Rico. How working to overcome unexpected obstacles may be the greatest tool to building business savvy you’ll ever have. How to use the ancient Ayurveda techniques of spiritual and physical nourishment, undoing the factors in one’s body and mind that lead to depression. Business parable revealing the secrets to leading successful companies and fulfilling people’s lives. A business parable about how to reconcile one’s business ambitions with faith and family. A story of a janitor who teaches a CEO how to experience business and life to the fullest. Strategies for improving US and global literacy rates from the head of the Corcoran Foundation and former illiterate. A parable about a paperboy who learns the skills of rainmaking. A customer service book focusing on the value of retaining customers versus getting new ones in an unstable economy. A unique memoir of a high school teacher conquering his illiteracy and challenging the education system. The ideal leader needs equal parts intellectual, emotional, strategic, and instinctual competence. New examples of real investments that work and thoroughly updated resources including free online stock screeners and the newest online brokers. Business Week Bestseller. A recent MBA grad learns that spiritual depth and personal relationships affect the kind of leader and influencer one becomes. A journey of self-discovery in Florence , through lessons learned from Michelangelo’s David and an Italian artisan’s workshop. 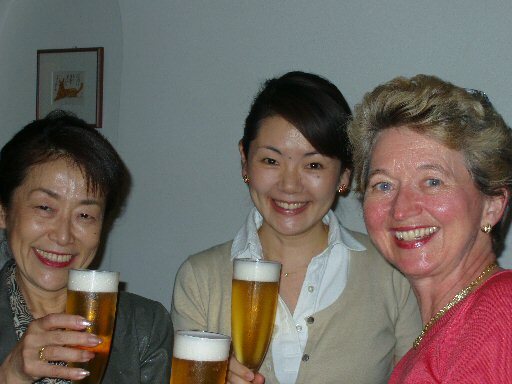 Left to Right: Tachi Nagasawa, Miko Yamanouchi, and Doris Michaels. Maddy Dychtwald’s book POWER SHIFT: How Women’s Rising Economic Control Will Change the World, revealing how women think and feel about money, and projecting how the increasing control of money by women will transform our global society, families, politics, the marketplace, and the workplace, as well as how it will influence men, to Ellen Archer and Barbara Jones at Voice, by Doris Michaels at DSM Agency (NA). Sarah McCoy’s debut novel THE TIME IT SNOWED IN PUERTO RICO, a young girl’s coming-of-age story set in 1960s-era Puerto Rico, to Shaye Areheart at Shaye Areheart Books, with Kate Kennedy editing, in a two-book deal, by Doris Michaels at DSM Agency (NA). An African safari teaches readers how to define and reach their personal goals for success. A look at what the top business people learned at home at the family dinner table. Getting tips, tricks and potent stories from famous and soon-to-be discovered rainmakers. 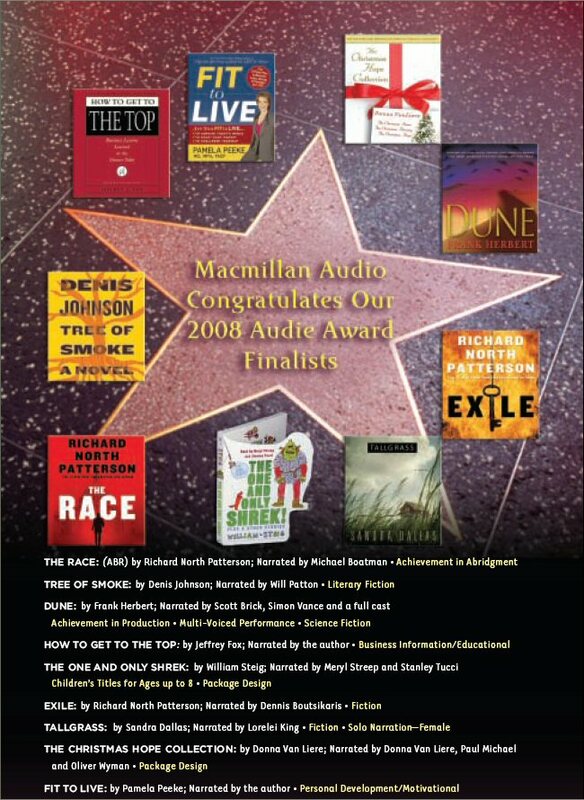 The 2008 Audies® Gala will be hosted by Tim Curry and held at the Millennium Biltmore Hotel, Los Angeles, California, May 30, 2008. HOW TO GET TO THE TOP has been nominated in the Business Information/Educational category. The Audies are conducted by the Audio Publishers Association. THE NEATEST LITTLE GUIDE TO STOCK MARKET INVESTING, 3RD EDITION by Jason Kelly hits No. 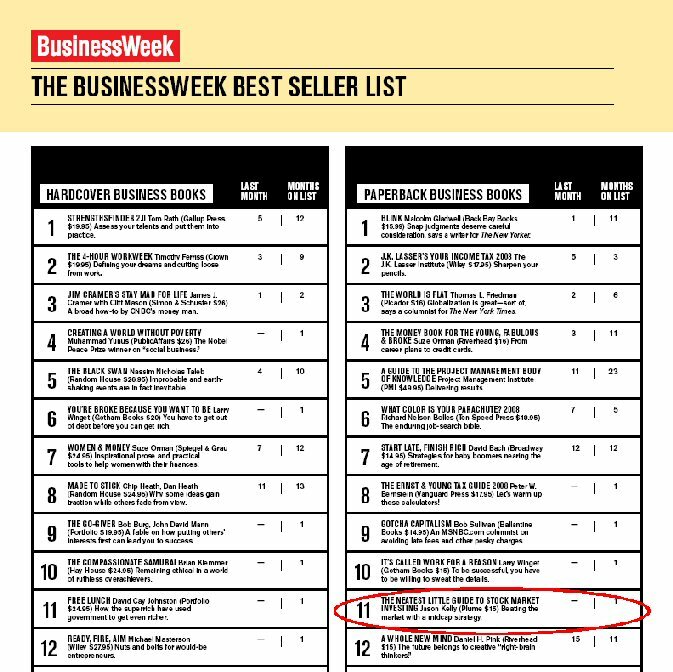 11 on the Business Week Bestseller list. John Corcoran’s A BRIDGE TO LITERACY and previously published biography THE TEACHER WHO COULDN’T READ, to Michael Sprague at Kaplan, by Doris Michaels at DSM Agency (World English). President and CEO of Principle Financial, J. Barry Griswell and co-author Bob Jennings’s ADVERSITY PARADOX, explaining how working to overcome humble beginnings, unexpected obstacles, or any manner of misfortune that may come your way may be the greatest tool to building business savvy you’ll ever have, to Phil Revzin at St. Martin’s, by Doris Michaels at DSM Agency (NA). Sheila Murray Bethel’s A NEW BREED OF LEADER, illustrating what’s missing in today’s leaders and argues that the ideal leader for this new era needs to exhibit equal parts intellectual, emotional, strategic, and instinctual competence, to Denise Silvestro at Berkley, by Doris Michaels at DSM Agency (NA). 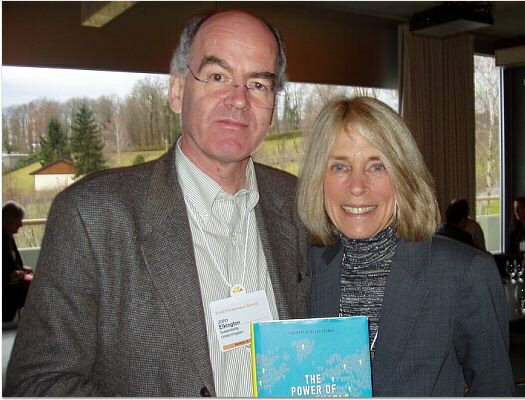 John Elkington and Pamela Hartigan at the World Economic Forum with THE POWER OF UNREASONABLE PEOPLE. Photograph by Doris S. Michaels. 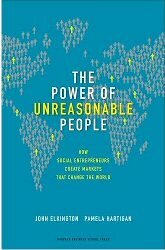 THE POWER OF UNREASONABLE PEOPLE: How Social Entrepreneurs Create Markets That Change the World by John Elkington and Pamela Hartigan will be published January 2008 by Harvard Business School Press, with a foreword written by Klaus Schwab. THE POWER OF UNREASONABL PEOPLE will be given to each participant at the 2008 WEF in Davos. John Elkington is the founder of SustainAbility, Ltd. and Pamela Hartigan is the Managing Director for the Schwab Foundation for Social Entreprenuership. Klaus Schwab is the founder of WEF and the Schwab Foundation.